We at Pinch Social are thrilled to be selected as a finalist for CAMP’s Marketer of the Year Award – entrepreneur category! We will be in attendance at their Marketing (R)evolution Conference and Awards Gala – where the winners will be announced – on November 2nd, 2016. CAMP – Canadian Association of Marketing Professionals – is a not for profit organization headquartered here in Toronto. CAMP’s goal is to “create an inclusion based network for all marketers to join, network, further their professional development, and deepen their connection to their profession.” CAMP adds value to Canada’s marketing professionals through hosting regular events, and through their annual Conference and Gala. Identifying the value of this network, Pinch Social became a member at the start of 2016. CAMP’s Marketing (R)evolution Conference will cover highly relevant topics like Inbound and Content Marketing and The Future of Digital Marketing. Hosted at the beautiful Chestnut Conference Centre, this day is set to be full of learning and collaborating with Canada’s brightest marketing minds. Following the conference, CAMP’s Awards Gala will take place at the beautiful One King West Hotel. 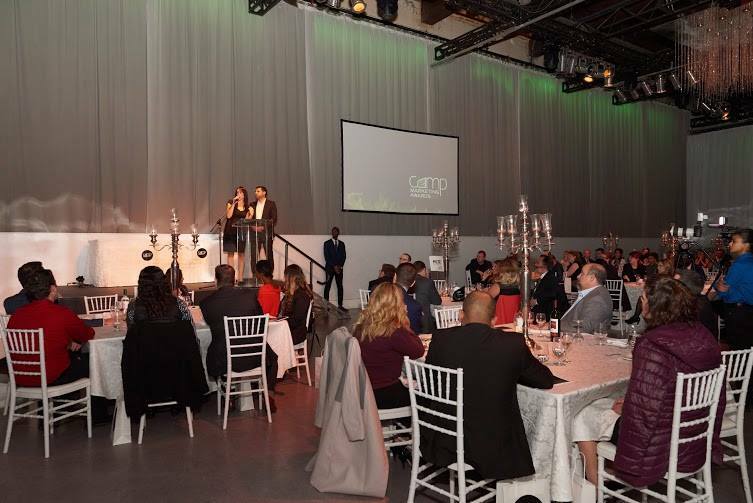 The evening will celebrate the best in Canadian marketing over the past year, and offer attendees an opportunity to develop their networks and connect with Canada’s top marketers. Congratulations to all of CAMP’s nominees and we can’t wait for their upcoming Conference & Gala!